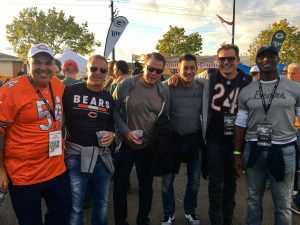 A closer look at a day with Big Game Air! 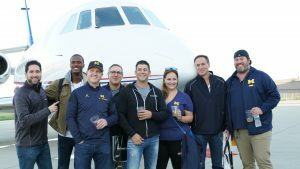 Big Game Air, Anheuser-Busch and Barstool Sports completed the “Bud Light Game Day Flyaway” sweepstakes in November with four national trips. 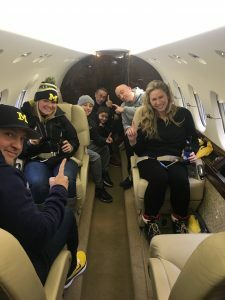 Each sweepstakes winner, alongside three lucky friends, hopped on a private jet to a marquee game of their choice. The game selections ranged from coast-to-coast. 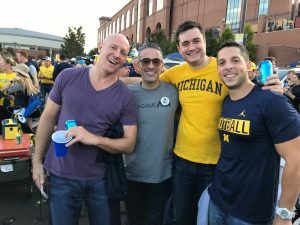 Our first winner traveled to Tempe, Arizona to watch UCLA take on Arizona State at Sun Devil Stadium, while our second contestant flew to South Bend, Indiana to see Notre Dame square off against Florida State. Our third prize winner headed to Blacksburg, Virginia to witness an ACC encounter between Miami and Virginia Tech. Our four-game stretch concluded in Tallahassee, Florida, as the Florida State Seminoles hosted in-state rival Florida at Doak Campbell Stadium. Karan Higdon rushed for 200 yards and two touchdowns and Chris Evans ran for 191 yards and two more scores, helping Michigan pull away to beat Minnesota, 33-10, at the Big House in Ann Arbor. Brandon Peters was solid in his first career start for the Wolverines. He was 8 of 13 for 56 yards with a 20-yard TD pass to tight end Sean McKeon. Click here to view the full photo gallery. J.T. 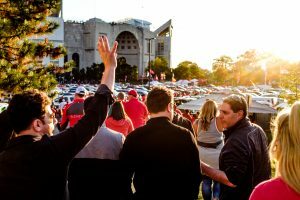 Barrett threw for 328 yards and four touchdowns, leading sixth-ranked Ohio State to a dramatic 39-38 win over second-ranked Penn State at the Horseshoe. In a comeback that will long be remembered in Columbus, the Buckeyes fought out of a two-touchdown hole before Barrett found tight end Marcus Baugh in the back of the end zone with less than two minutes left to hand the Nittany Lions’ their first loss of the season. Click here to view the full photo gallery. Heisman Trophy front-runner Saquan Barkley notched three touchdowns and Penn State quarterback Trace McSorley rushed for three touchdowns and threw for a score as the second-ranked Nittany Lions earned a 42-13 victory over 19th-ranked Michigan in front of a record-setting crowd of 110,823 fans at Beaver Stadium in State College, Pa. Click here to view the full photo gallery. Michigan State capitalized on five Michigan turnovers en route to a 14-10 victory over their in-state rival Under the Lights at Michigan Stadium. Brian Lewerke threw for one touchdown and ran for another in the first two quarters of a game that was heated and physical. Click here to view the full photo gallery. 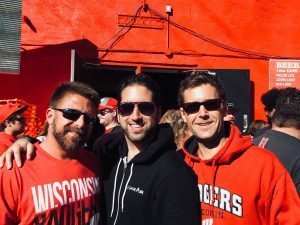 Wisconsin running back Jonathan Taylor rushed for two touchdowns and quarterback Alex Hornibrook threw for 197 yards and one score to help the 10th-ranked Badgers secure a 33-24 victory over Northwestern at Camp Randall Stadium. Click here to view the full photo gallery. Aaron Rodgers threw four touchdowns to help the Packers cruise to a 35-14 win over the Bears on Thursday Night Football at Lambeau Field. Rodgers threw TD passes to Davonte Adams and Randall Cobb to help Green Bay build a 21-0 lead in the second quarter in a game that was delayed 45 minutes by lightning. Click here to view the full photo gallery. Michigan defeated Cincinnati, 36-14, in front of 110,000 fans at the Big House in Ann Arbor. Running back Ty Isaac rushed for a career-high 133 yards and quarterback Wilton Speight threw for two touchdowns as the Wolverines pulled away down the stretch for their second win of the season. 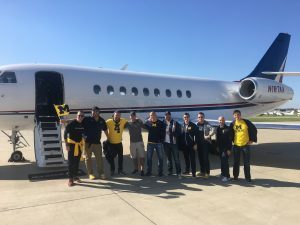 A group of Michigan season-ticket holders, donors and former players, including current Kanas City Chiefs wide receiver Jehu Chesson, joined us for our inaugural trip. Click here to view the full photo gallery. Oklahoma defeated Ohio State on Saturday in Columbus, 31-16. In a game featuring two college football powerhouses, the Sooners staked their claim as a College Football Playoff favorite. 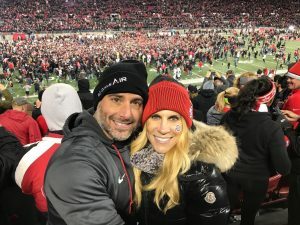 A group featuring a mix of Ohio State and Oklahoma fans traveled with Big Game Air to the Horseshoe in Columbus. Click here to view the full photo gallery.